Council would like to recognise the volunteers of Linton and District Historical Society for Volunteer Week (8 – 14 May). 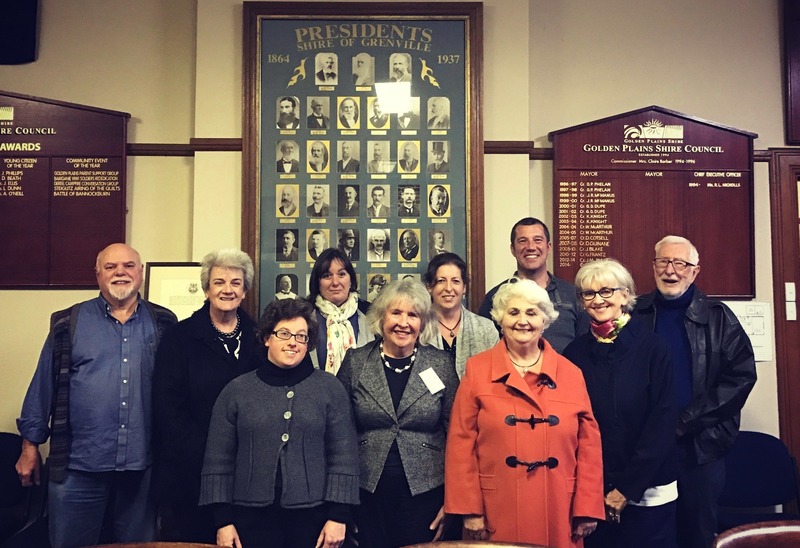 The Linton and District Historical Society is made up of many dedicated volunteers from Golden Plains. The Society is driven by a Committee of Management, consisting of seven members and a further four volunteers who undertake tasks, including sorting, cataloguing and following up enquiries. The Society represents Linton and District’s historical interests, undertakes research, collects and preserves historic items, promotes heritage care, keeps its 80-strong membership informed via newsletters and raises funds to continue to make a difference in the community. The Society has raised vital funds for many years to preserve local heritage buildings and been involved in a range of projects, including the development of the railway precinct in Linton. The Society’s volunteers produce four newsletters each year for 80 subscribers, worked hard to produce the fantastic publication, 'A Walk-Drive Tour of Linton' and are now working on another publication, 'A Photographic History of Linton'. Volunteers run five History Nights per year, and often film the guest speakers, many of whom have Linton family history—these videos are then made available for sale. Volunteers are involved in events, such as ANZAC Day and anniversaries of local institutions. This year, they will be involved in the epic 150th anniversary of the Linton school. This is only a snippet of what this amazing group of volunteers has delivered, and continues to deliver for Linton and District.